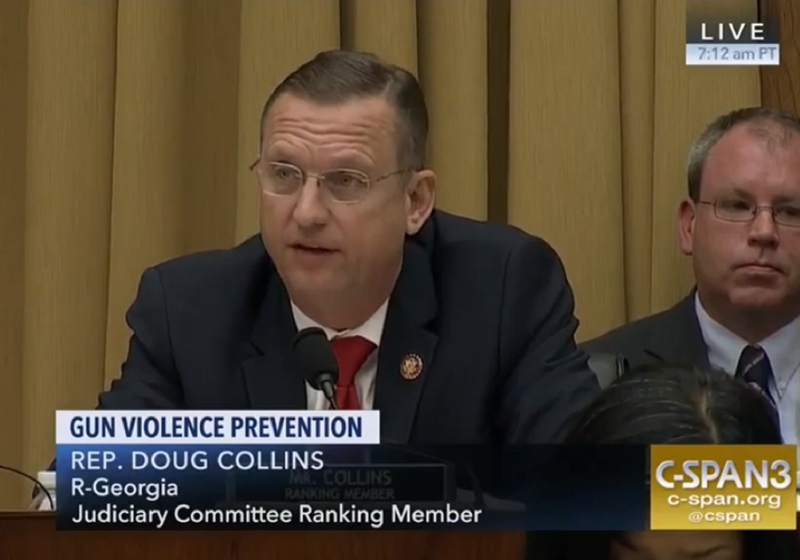 WASHINGTON - 9th District Representative and House Ranking Member, Doug Collins gave the opening statements regarding Judiciary Hearing on H.R. 8, a proposed gun violence prevention measure. In it, Collins quotes Thomas Reed, a former House Speaker. "One of the greatest delusions in the world is the hope that the evils of this world are to be cured by legislation," Collins states, but further elaborates, "today I think the greatest cruelty in the world is to tell people you will help them in their situation with the legislation, and then try to pass off legislation that would do nothing to fix the problems that you claim to fix. In legal terms, that's called fraud." Collins has long been an advocate for the 2nd Amendment, and fears that the proposed legislation would only target law abiding citizens, and would do nothing to actually help gun violence. Watch the full video below, as well as his questions for witnesses.